New rules about child car seats are set to be introduced from March 1 2017. The regulation is in regard to booster cushions that do not have a back. Manufacturers will no longer be able to sell new backless booster seats or cushions for children shorter than 125cm (4ft 1in) or weighing less than 22kg (3st 6lb). However, the change will not affect existing models - parents who already have backless booster seats will not be breaking the law and will not be required to buy a new booster seat. The Royal Society for the Protection of Accidents (Rospa) says: "Some booster seats have backs that can be removed as children grow bigger. Booster cushions that do not have a back are also available. "We strongly recommend that you do not remove the back of high-backed booster seats or use a backless booster cushion because the lack of a back and side wings removes any side and head protection from the child car seat, leaving the child vulnerable to head and side injuries, particularly in side impacts. "It also makes it more difficult to position the diagonal strap of a three-point adult seat belt correctly across the shoulder." Backless booster seats (group 3) for children taller than 125cm or weighing more than 22kg will still be allowed to be manufactured. Always follow the manufacturer guide when fitting a child boosters seat. Rospa also has the following advice. 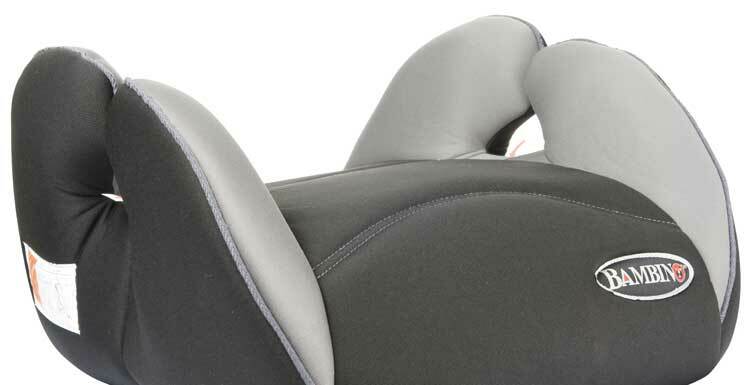 The booster cushion raises the child's seating position so that the car's seat belt fits them properly. They have red indicators or slots to show where the seat belt should go. The lap belt should be threaded through the red guides or slots near or under the arm rests. There is usually a red clip at shoulder height to position the diagonal part of the seat belt. Booster cushions can be used in the front or rear of the car, but it is safer to put them in the rear, especially if there is a passenger airbag in the front.